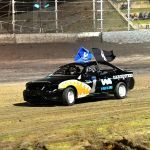 If experience is what counts in a demolition derby then Wayne Fanderlinden comes into this Saturday night’s crash-fest as one of the favourites to take home the $10,000 prize. Fanderlinden competed at the very first demo derby, held at Claremont Speedway in 1977. “When it was announced as a new initiative I was already sold on the idea,” he said. 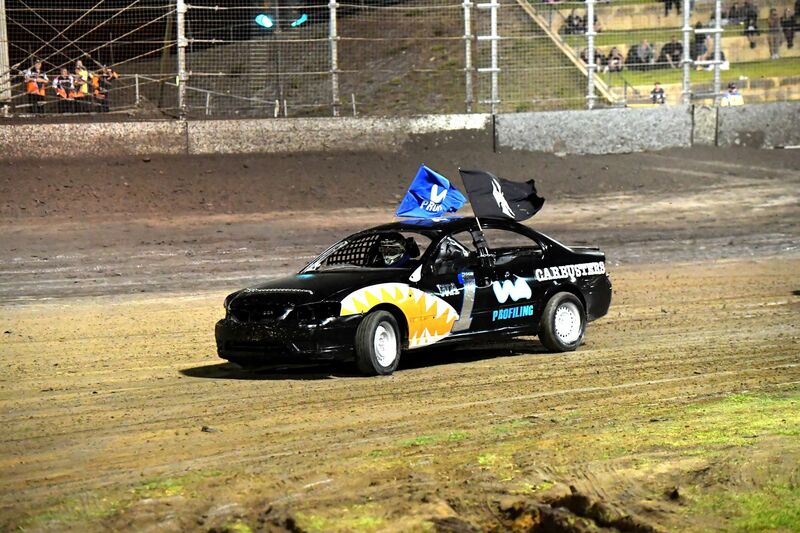 “I had watched American demo derbies on TV and they really caught my interest. In total, Fanderlinden estimates he has competed in close to 150 demolition derbies! And as the green lights come on and the carnage begins, it is still something that thrills him. “I still get excited about the adrenaline rush and the opportunity to match the car that I built against other competitors,” he said. 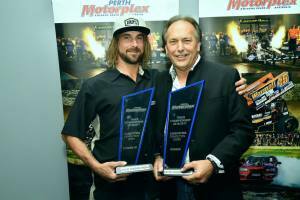 While a demolition derby car is nowhere near as refined as the Sprintcars or Late Models that will also hit the Perth Motorplex speedway on Saturday night, Fanderlinden said preparation does pay off. “I have built many demo derby cars, from early Holdens, Fords and Valiants to the current four cylinder front wheel drives we use now,” he said. “I spend a lot of time just checking everything. Even basics like wheel nuts, wiring, steering, fluid levels and suspension. Most of the cars have been taken off the road for some reason and in some cases people have started their own repairs and never finished. So what could make smashing into a field of dozens of eager competitors keen to do the same? Get the family involved! Wayne Fanderlinden has been racing alongside his sons for many years. 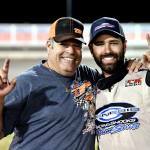 “This weekend I’m super pumped to have two of my sons back on the track. Adam is the current WA demo derby champion and Ryan is making a comeback after a couple of seasons away. They have both won a $10k demo derby in the past. 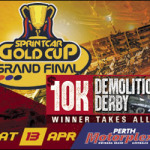 Fans can catch the action of the demo derby at the end of the Gold Cup Grand Final, which features the Maddington Toyota Sprintcar Series, Di Candilo Steel City Late Models, The Pool Shop Group Speedcars, plus two wheeled action with Speedway Solos and the Flat Trackers!